GB Reorganizer has had quite an update today. I’ve posted version 4.0 with some important improvements and fixes. Don’t know what this is? Read about it here. Someone pointed out to me that the Reorganizer was creating empty (no disk) output on archives with .TAP or .G64 images in them. Well, when I originally coded this utility for use with my 1541 Ultimate, the only image formats supported were .T64 and .D64. 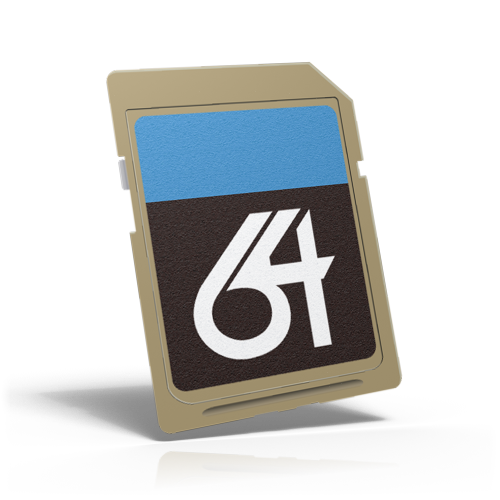 But that has changed and GameBase 64 is now using quite a few different image formats — .TAP, .T64, .G64, .D81, as well as the ubiquitous .D64. So now these are all recognized and extracted. (Whether or not your chosen device will support the images is a different matter — my 1541-U Mark 1 unit, with my custom firmware, can handle .D64, .G64, .CRT, and .T64 images, but not .TAP or .D81.) Still, it is better to include the files in the output for possible future support by your device. I’ve also added a way to save and load your settings. This makes it easier to deal with different output configurations you want to have. There’s a test mode now, too, which writes out the GameList.csv file but doesn’t build the folder structure or extract the archives. There are some other changes. Download it here. sd2iec device users shouldn’t feel left out. There are bug fixes in here that affect output for the sd2iec optimized folders as well, so everybody should upgrade. Improved GameList.csv output includes error messages on each folder/game (if any). Recognize and extract .D81, .CRT, .G64, and .TAP files from archives (in addition to .D64 and .T64 files). Change 1541-U folder name case to be mixed instead of forced upper-case. Added “Ancient 1541-U Uppercase Mode” for 1541-U file optimization (uses the previous behavior for file case naming). Use this option if you prefer the old way or if you have a really old firmware and you need it for proper sorting/searching on the 1541-U. Added Test Mode. THIS STILL DELETES ANY PREVIOUS REORGANIZER OUTPUT IN THE DESTINATION FOLDER. This mode does everything except create the folders and extract the files, and you can review the GameList.csv file for results. Some cosmetic changes such as an improved icon design and changes to the faux-C64 status screen, just because. This entry was posted in GameBase 64 Reorganizer and tagged 1541 Ultimate, GameBase 64 Reorganizer SD, sd2iec, uiec/sd on June 23, 2015 by Obliterator918. The C64C was an update to the C64 that brought a more modern look (for its time) to the Commodore 64. After Commodore finished off its stock of motherboards, it also got a new updated “short board” that cost a lot less to produce. By the time the Commodore 64 was discontinued, they were able to make them at about $20 a pop. Pretty good for something that retailed for about $100. These short boards were not actually 100% compatible with the older version. Many of the parts were not interchangeable with older boards, and the famous SID chip was actually changed. (If you’re curious, you can test this with a C64C by playing Impossible Mission. If you can’t hear “stay awhile…. staaaaay forever!” then you have the updated SID chip.) Compatibility with the older C64 approached 100% but didn’t quite get there. Anyway, this particular model has one great advantage: lots of empty space under the keyboard for modifications! So below is what I did with mine, in video and in higher resolution pictures. Internally mounted a uIEC/SD — a great sd2iec-based device for mass storage from Retro Innovations. Easily the most gratifying part of this project! Gave it a gold paint job with a shiny clear coat. This entry was posted in Commodre Mods and tagged c64 pictures, jiffydos, mods, sd2iec, uiec/sd on July 20, 2013 by Obliterator918. I’ve finished adding sd2iec device optimization support and a few other things. GameBase Reorganizer for 1541 Ultimate is now GameBase Reorganizer SD and available here at the new official home page. This entry was posted in GameBase 64 Reorganizer and tagged 1541 Ultimate, GameBase 64 Reorganizer SD, sd2iec, uiec/sd on July 20, 2013 by Obliterator918.